There has been a lot of coverage of the death of Ursula le Guin over the last couple of days. In 1973, I think it was, our school building was found to have asbestos in it, and was closed down until the asbestos could be removed. For a week or two, we were supposed to turn up at school at intervals to be given work to complete at home, but after a while it became clear that the work would take a long time to complete, and we were bussed to a redundant Victorian junior school at the other end of Salford - a rough area; we were warned not to linger on the pavement when crossing from the schoolyard to the bus in case we were beaten up by the local kids! Acutely aware of the deadline before I had to give it back, never to see it again, I read the book in every spare moment. 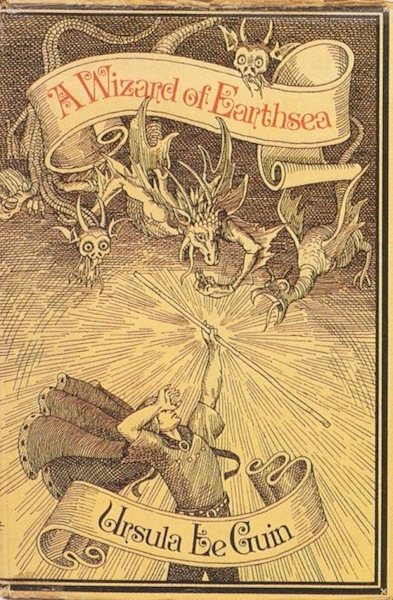 I practically lived in Earthsea, only emerging to do whatever was essential before I plunged back in again. Even now I only have to close my eyes and see the old classroom where I was reading on my knee while eating my packed lunch - and feeling totally immersed in that magical world. Pretty soon after that I found The Tombs of Atuan - and I could navigate the labyrinth perfectly, just like Arha, in the dark. The Farthest Shore gave me nightmares of that low wall over which the dead pass - but also showed me the importance of living well, unlike the people Ged and Arren met on their journey, who had given up and were waiting to die. 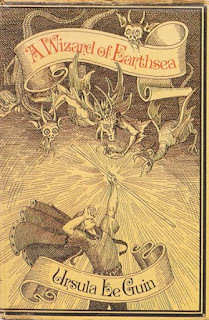 A couple of years ago, the BBC adapted The Left Hand of Darkness and the first three Earthsea stories on radio, and I got that same thrill as when I first read them. As an adult, I discovered The Dispossessed and The Word For World is Forest and The Left Hand of Darkness, as well as the Hainish stories and some of the Orsinian Tales, and her additions to the Earthsea saga. I have only been able to read The Ones Who Walk Away from Omelas once. One birthday, my mum presented me with a thick book, saying that she knew I liked this author. It was Always Coming Home, and was possibly the best birthday present she ever gave me, considering that she thought my reading tastes were a bit weird. More recently, I've read her blog posts in the Book View Café blog, so Ursula le Guin has been a part of my reading background for most of my life. 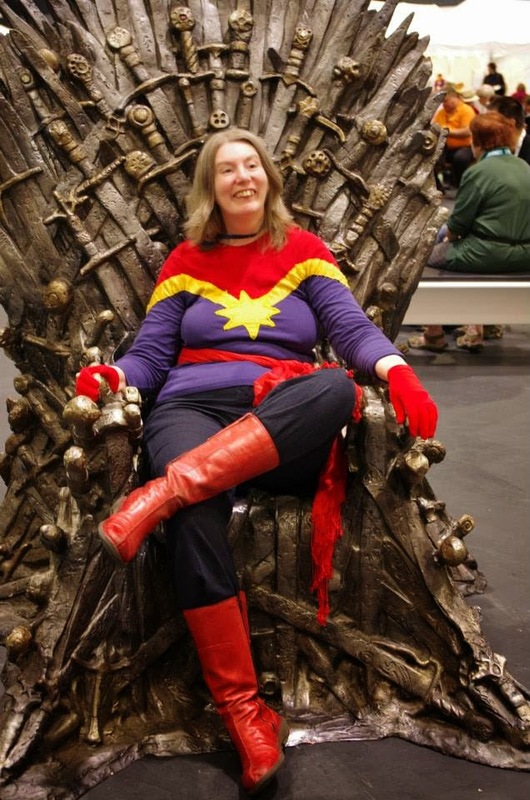 I was very pleased to see her honoured by the literary establishment, as well as her many SF and Fantasy awards. Most weeks, I go to an acoustic music session locally - there's singing, but also poetry reading and other readings. I often perform something when a famous person has died - if a TV star, I'll sing the theme of their TV show, for instance. For Ursula le Guin, I found a quotation which has been doing the rounds of Twitter and Facebook - the one that finishes: "I'm going to go unbuild walls." It seemed to go down well. Why Do The Good People Always Die?